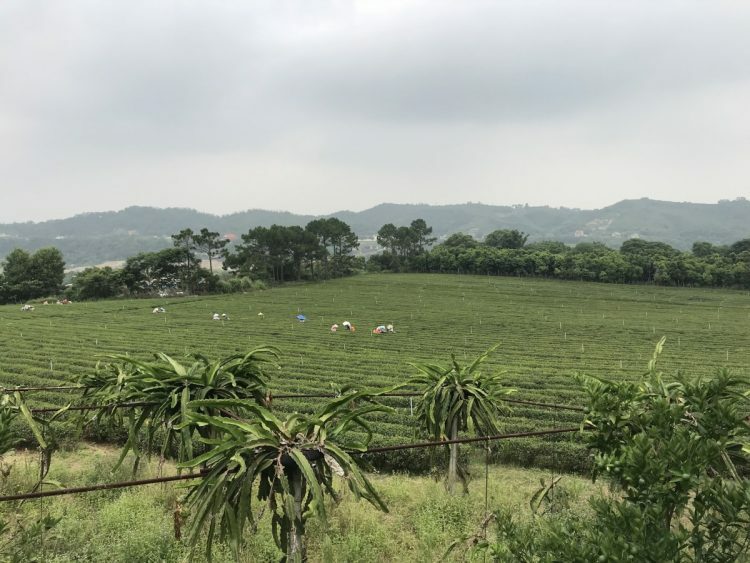 Having experienced tea picking in the hills of Nantou, my interest in tea only grew. 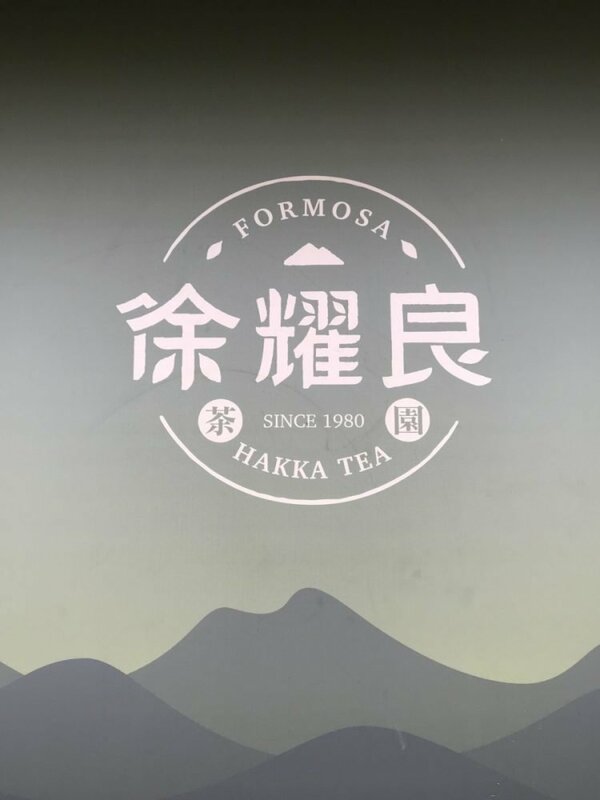 Taiwan is, of course, known for its tea. It’s everywhere, served almost at every meal and at drink shops. 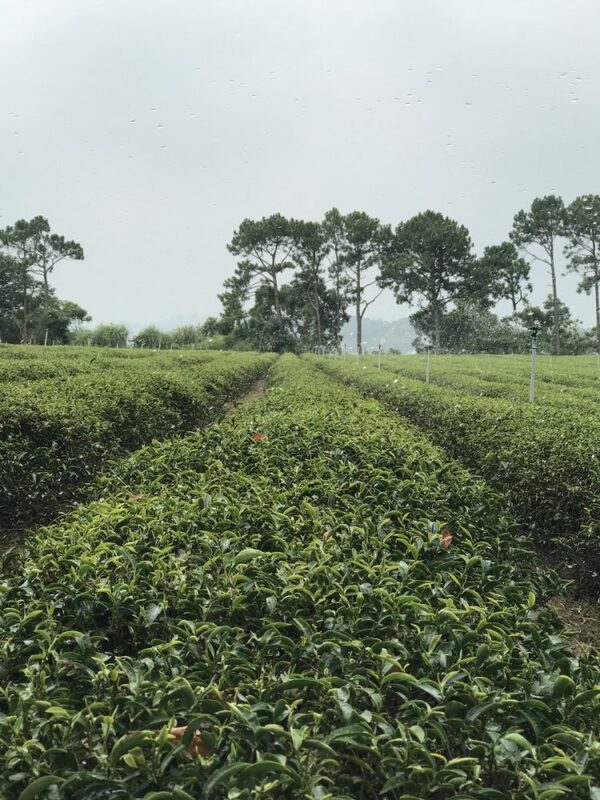 It wasn’t too long ago when I learned about a particular type of tea, uniquely grown in the Hsinchu (新竹 / xin zhu) area with a sweetness like no other. 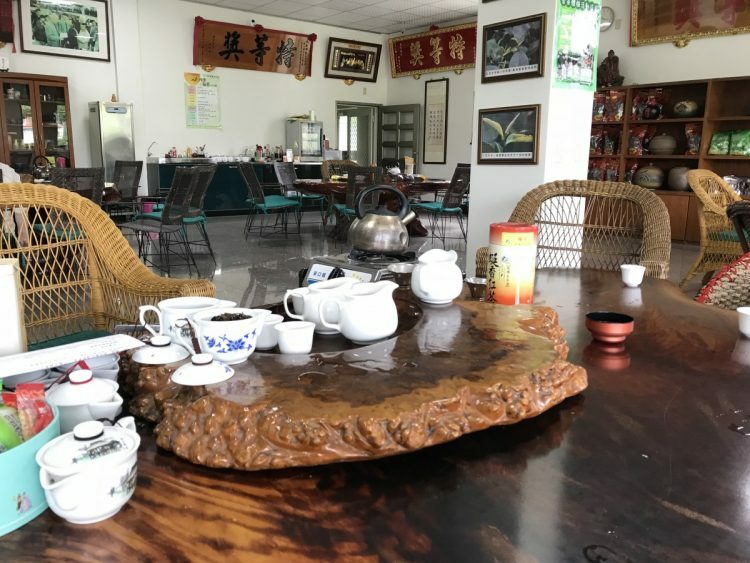 The tea goes by many names including Dongfang Meiren (東方美人 / dong fang mei ren), Baihao (白毫 / bai hao), Oriental Beauty, Bragger’s Tea (膨風茶 / pen feng cha), White Tip Oolong, and Champagne Oolong. It has a history that is as storied as its many names. One story goes that the cicadas had damaged the leaves of a farmer’s crop. Instead of destroying the tea, the farmer produced the tea and went on to sell it to the market. When a merchant liked it so much that he was willing to pay double the amount, the farmer knew he was onto something. Another story goes that a British tea merchant had Queen Victoria sample the tea. Loving the tea for its its bright color and the mild, sweet flavor, she came to call the tea Oriental Beauty. 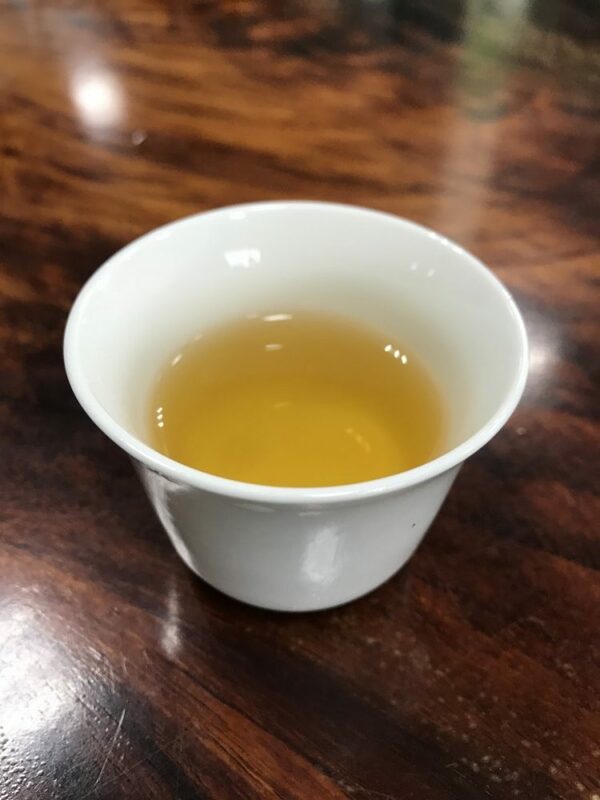 The process of oxidation resulting from insect bites inspired other teas including Dong Ding Oolong (凍頂烏龍茶 / dong ding wu long cha). Anyway, enough about the tea. 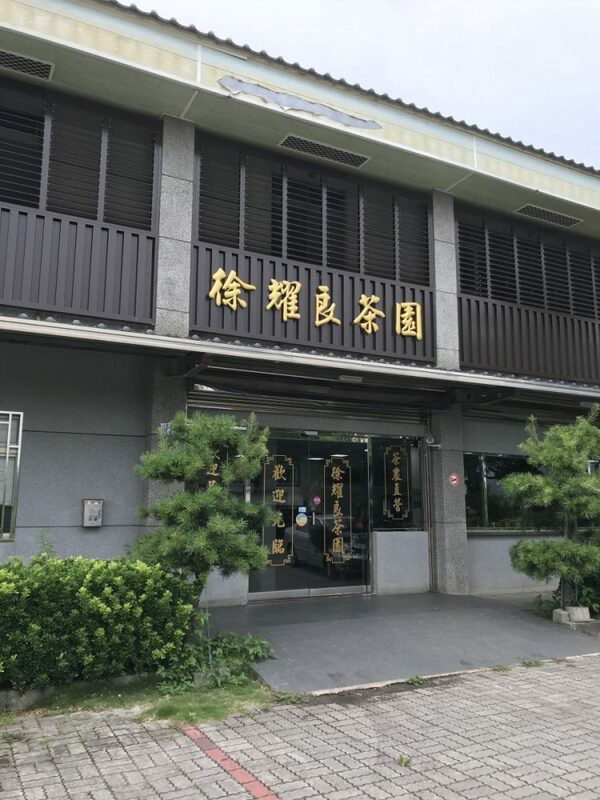 I wanted to experience the tea firsthand, so I set off to Hsinchu County to get a taste of Dongfang Meiren. 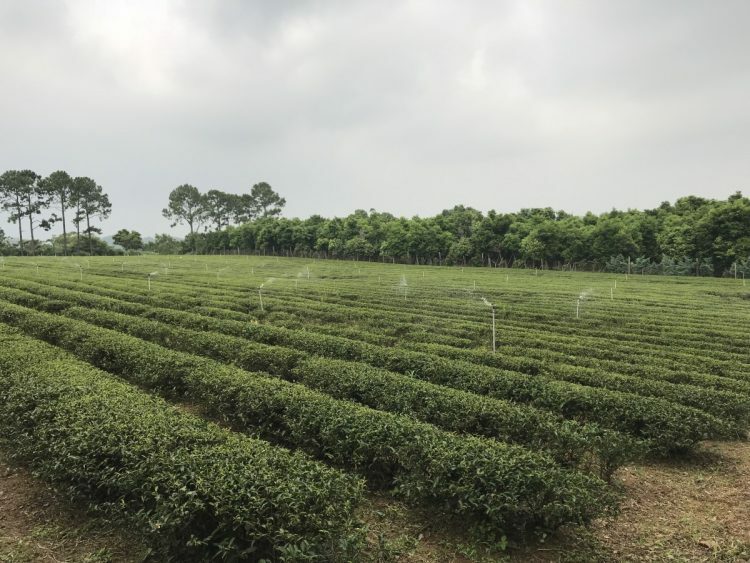 My journey started at a random tea farm. 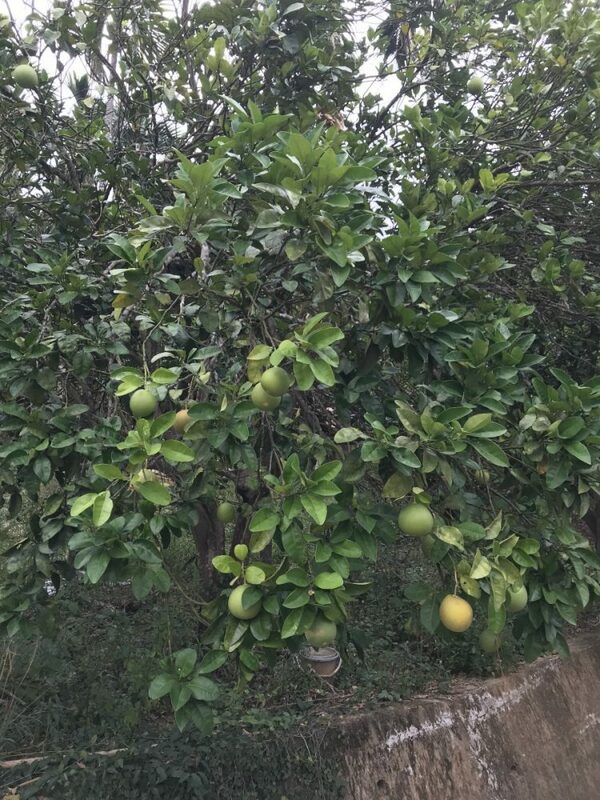 Here, in the hills which seemed to float above the clouds, there were fruit trees and tea growing everywhere. Here is a closer view of the tea plants. There were older woman diligently picking the tea in the background. 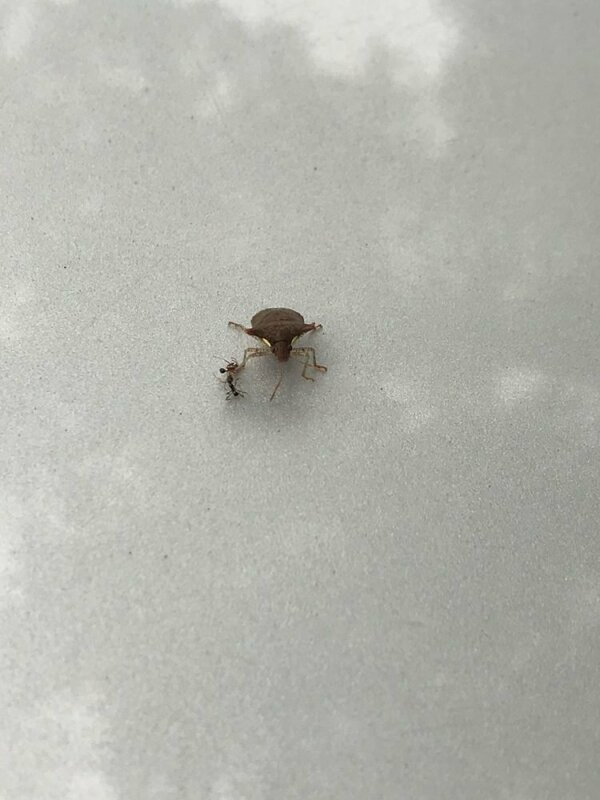 I didn’t know what a cicada looked like at first, but it clearly wasn’t this bug wandering around (trailing an ant no less). 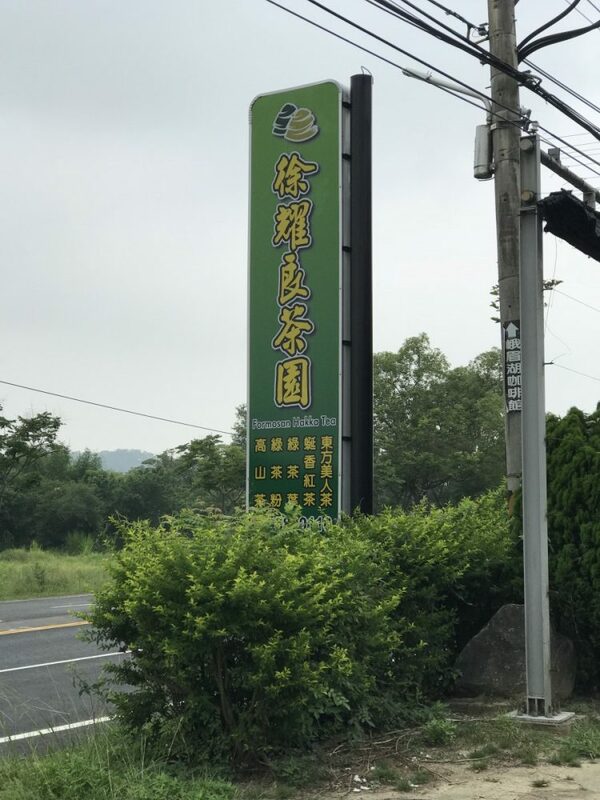 After a brief stop at a random farm, we found our way to Xuyaoliang Tea Plantation (徐耀良茶園 / xu yao liang cha yuan)—one of a handful of shops now producing Dongfang Meiren tea. 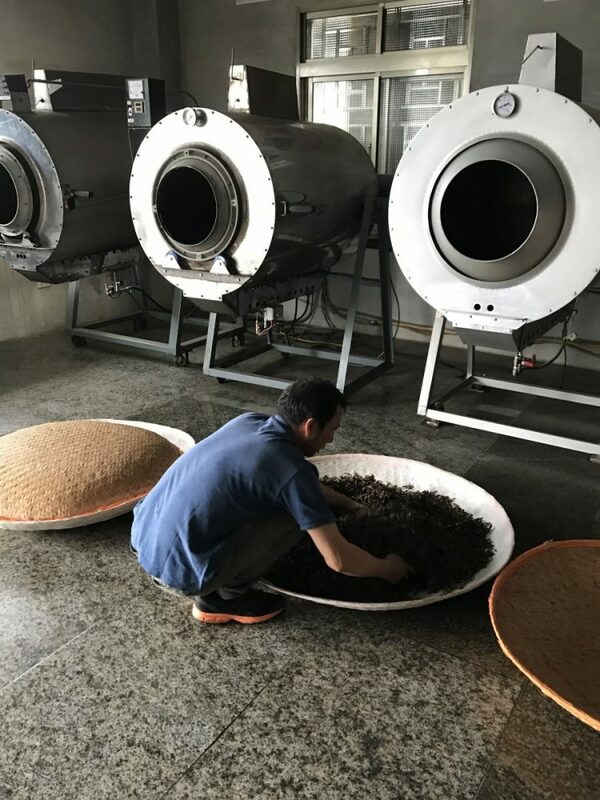 Here’s a man oxidizing the newly pressed tea leaves. It never occurred to me, until this moment, that writing right to left, up to down, could also mean that a sentence is simply one line, written from right to left. We got to sample the tea. This was one of the first times that I also realized there is a particular structure and setting to serving tea in Taiwan. This table featured an area where unused tea or water could simply be discarded. The tea was a very nice color. Was it the champagne of oolongs? Perhaps. It definitely tasted unique due to the apparent sweetness of the liquor, in fact, so much so that I was surprised. To this day, it ranks as one of my more special teas that I serve. After purchasing some of their amazing Dongfang Meiren tea and taking photos outside, we were off for more adventures! 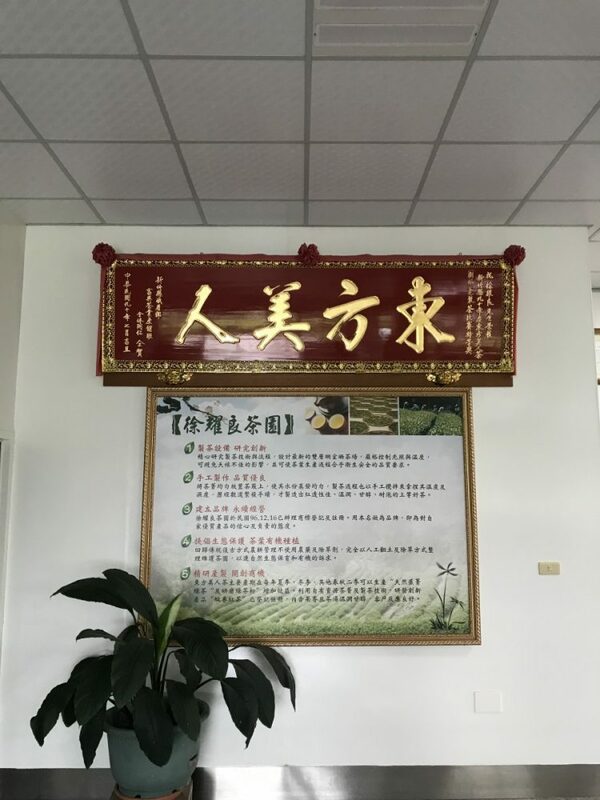 The post The Quest to Taste the Champagne of Oolong appeared first on Collecting EXP.